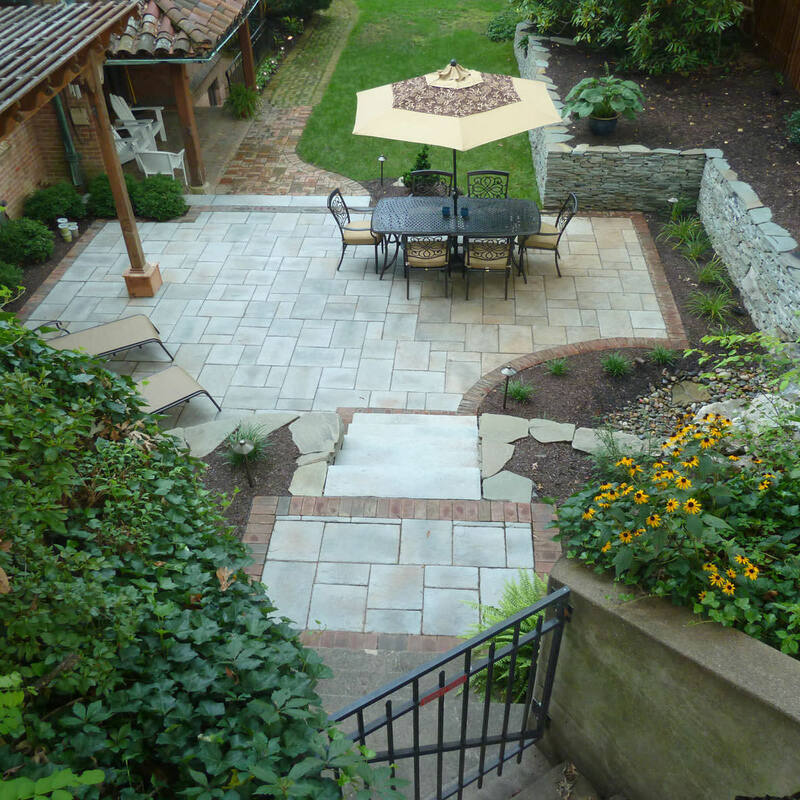 Now that you are considering concrete pavers for your new backyard patio or walkway design you will need to know there is a right way and a wrong way to install pavers. 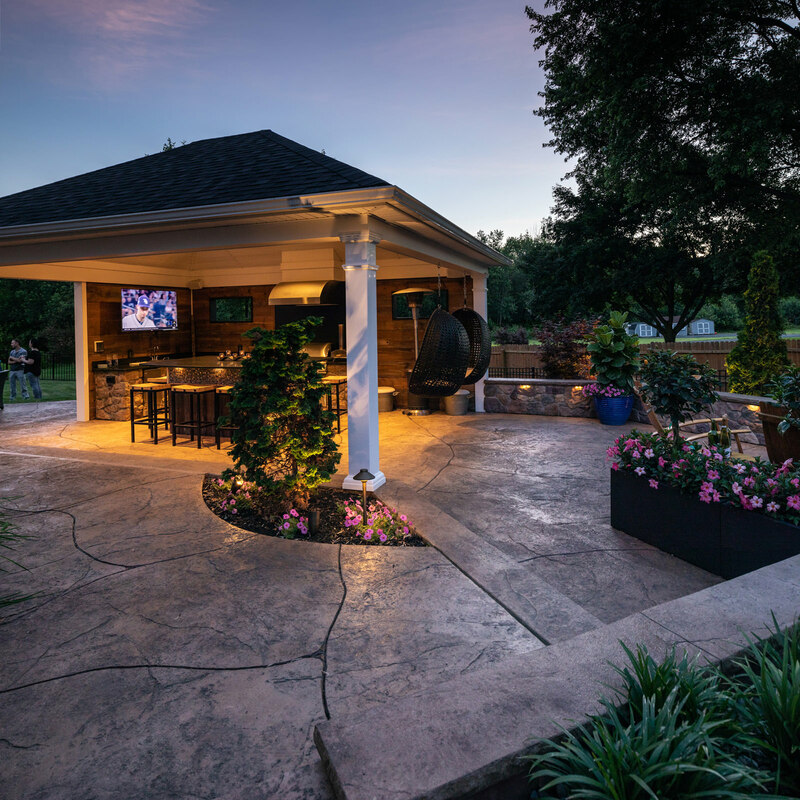 Below are a few extra steps that MasterPLAN takes to ensure that your new patio will stand up to the test of time. 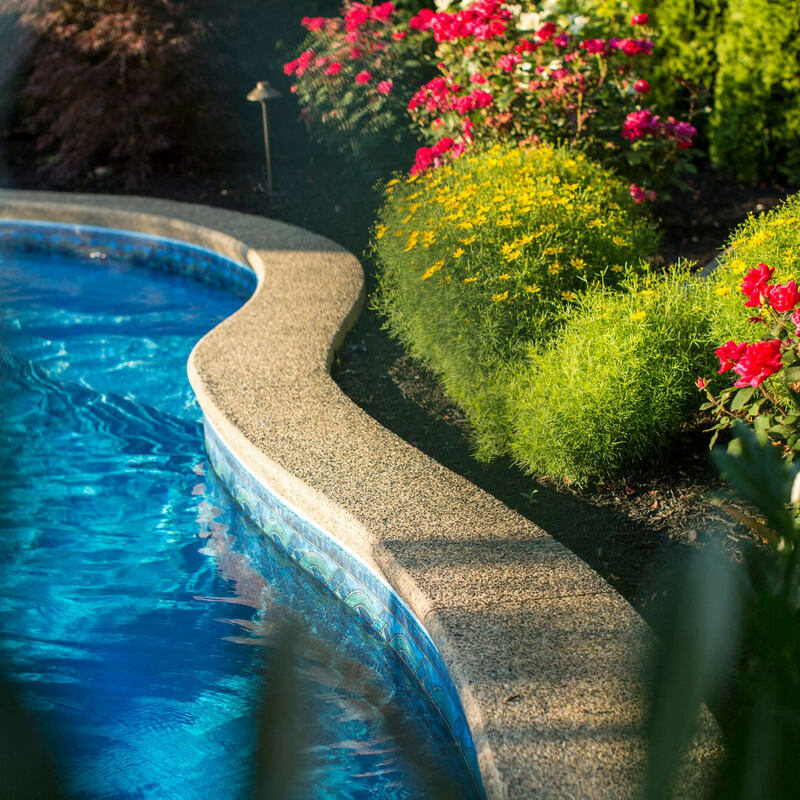 A newly installed paver patio or driveway is only as good as the compacted crushed stone base beneath. Install too little and the pavers will shift, settle and/or heave over time creating a tremendous amount of maintenance (and cost) for you. Install the correct amount for the application and soil condition and you will have years of low maintenance enjoyment! Our paver base has a depth of 8″-10″ or more depending on the application and soil conditions of the site. This depth is about average for the clay based soil conditions that we experience here in the Lehigh Valley. This is the #1 key to a great, low maintenance paver experience. Normally the difference in price between two contractors is in the time and detail taken to install the proper base for the soil condition. What does that mean? Well if you have a 4′ wide paver walkway and only install a 4′ wide crushed stone base, what do you think the pavers along the edges of the base will do? Most likely sink, heave or separate from the others because even with the proper base depth and compaction the edges are still the weakest part of the base. Over-basing is the process of extending the base out past the edge of the finished paver to ensure the pavers along the edge are on a solid foundation. So in my example of the 4′ paver walkway, the crushed stone paver base would be 5-6′ wide to make sure the pavers are on a solid foundation. 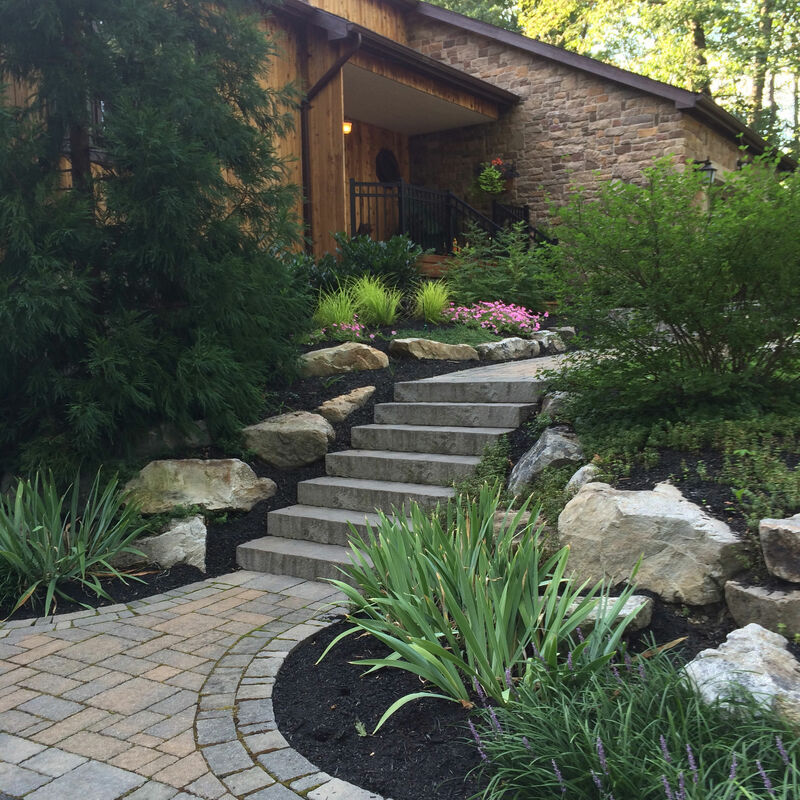 Polymeric sand is a sand / polymer mix that when properly installed into the paver joints “rubberizes” and helps reduce maintenance by making it tough for weeds and ants from making a home in your new patio. Now with that said, it is normally effective in keeping 80-90% of weeds and ants out so the chance of having weeds sprout up in your new paver patio is still there, but greatly reduced. Once the paver base excavation is complete, a geo-textile fabric is installed to separate the compacted subsoil from our new compacted paver stone base. This addition ensures that the base stone will not mix with the dirt beneath resulting in a much more stable base. Another critical step in the paver installation process is compaction. The optimal stone base compaction is done in 4″ lifts (or layers) with a 6000 psi or better plate compactor. This method ensures that the crushed stone base is fully compacted before the pavers are installed. If a smaller plate compactor is used, the base will not become compacted enough and the paves will most likely shift or settle over time. Well it doesn’t take much in the way of common sense to figure out that if you direct water from lets say a roof downspout onto your new paver patio that over time, the water will destroy it. All roof leaders should be buried, run under the patio and “day-lighted” out into an area of the property that the water can do no damage. 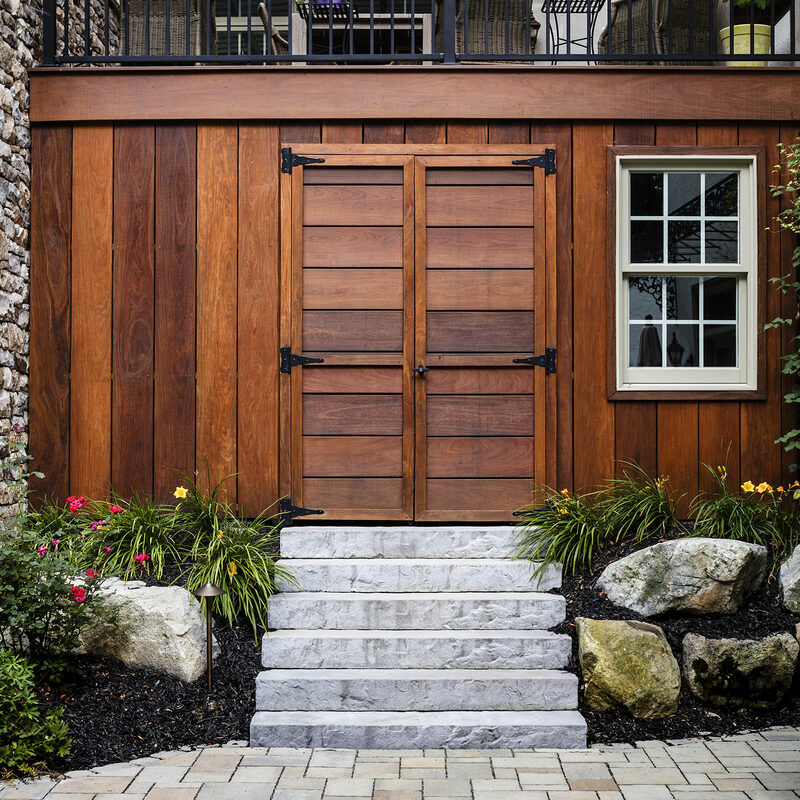 Also, all paver patios should be pitched away from the house and or other structures to help keep water from finding its way into your basement or other low areas. 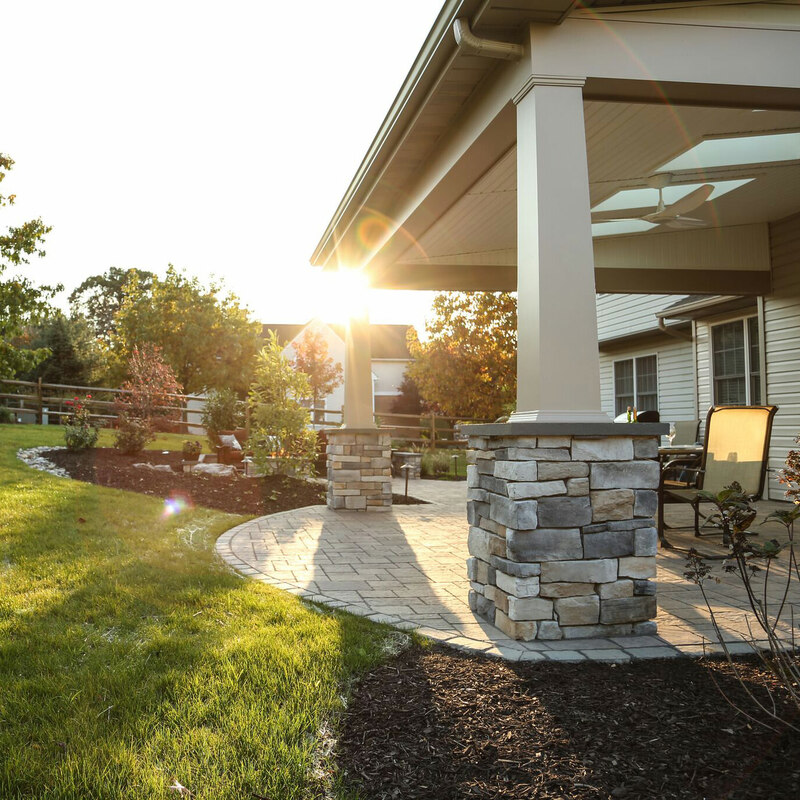 When selecting a brand of paving stones to adorn your new patio, walkway or driveway, I would highly recommend choosing a paver from the Techo-Bloc catalog. Techo-Bloc hands down has the very best quality, style selection and availability of any paver manufacturer out there today. And no, I am not being paid to say this, I have been using their products for years and I have had NO complaints. My clients always love the great styles and colors available and their pricing is good as well. 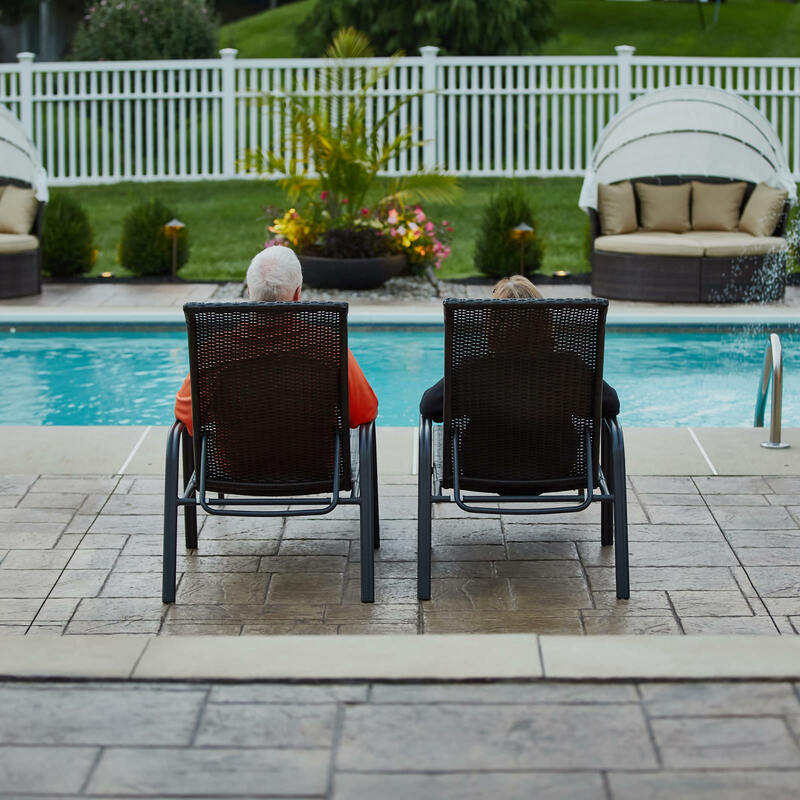 Techo-Bloc guarantees every paving stone for a lifetime, transferable between homeowners. Need I say more? 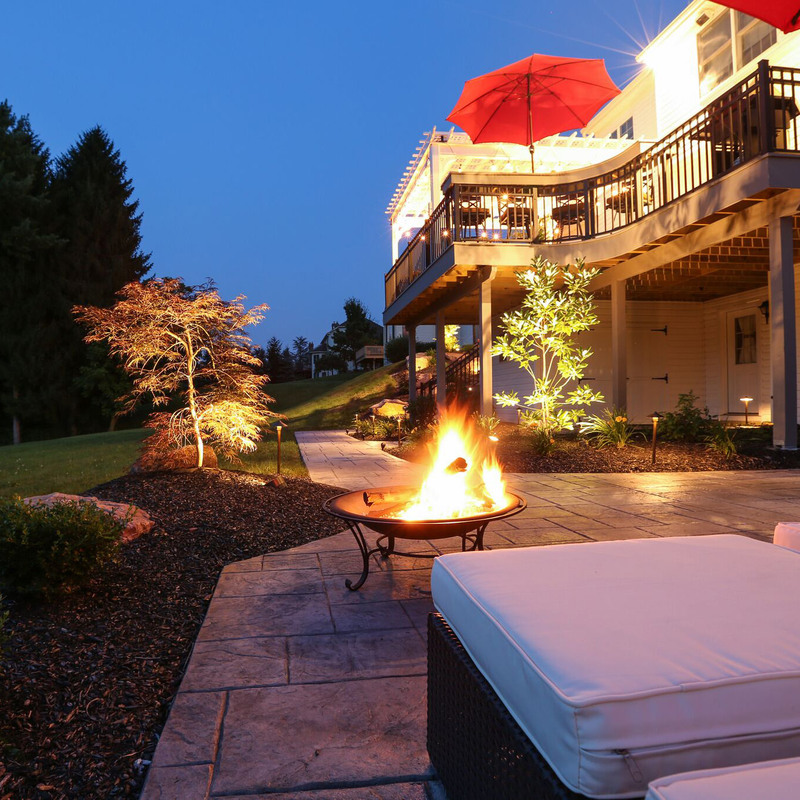 MasterPLAN Guarantees all paver patios, walkways and driveways for 3 full years. This guarantee covers paver settling, heaving and separating. 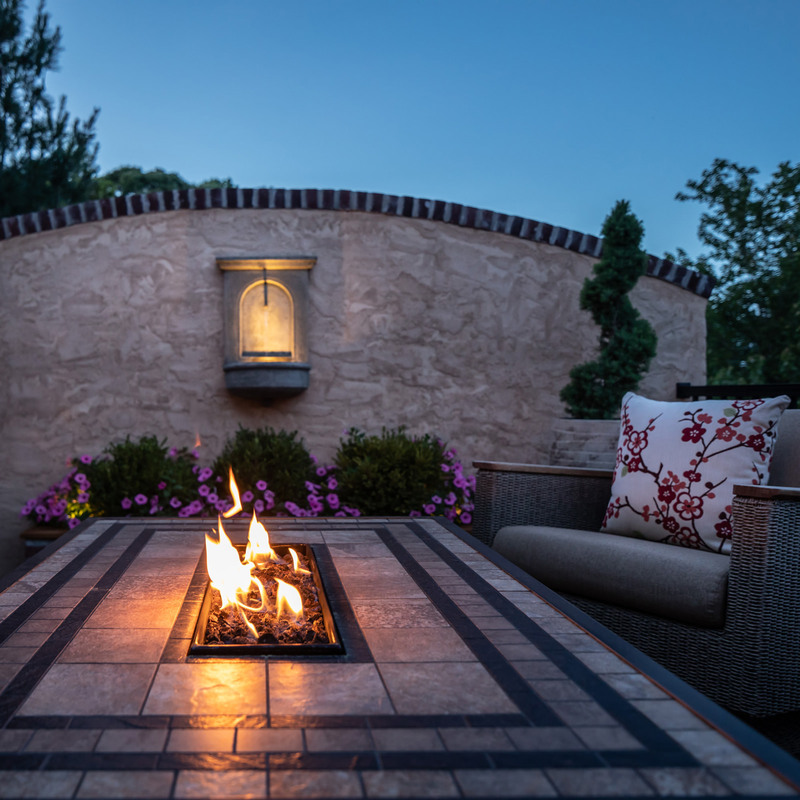 So when you have a paver patio installed by MasterPLAN’s award winning specialized craftsmen, you can rest assured that we will install it correctly and we will stand behind it. 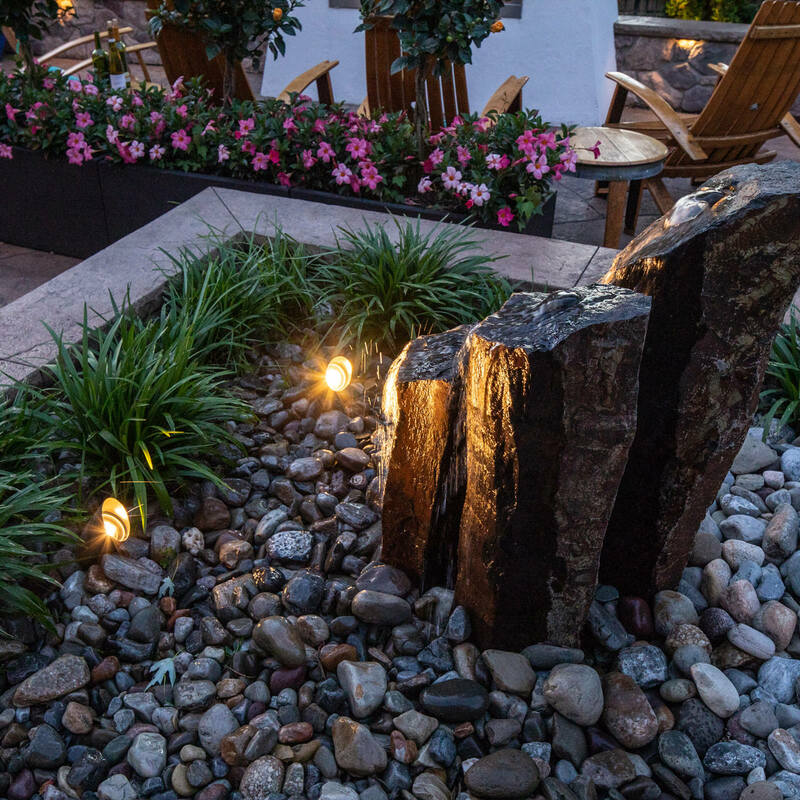 Here at MasterPLAN Landscape Design it is our mission to educate our clients into making good informed landscape decisions. Call us today @ 610-628-2480 or click here to schedule you free design consultation. Click here to find out how MasterPLAN can help you.